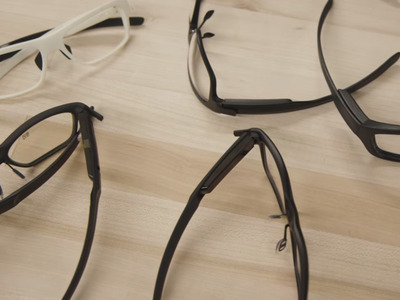 Intel has developed a prototype for a pair of smart glasses that are designed to look normal – or at least, normal for a pair of smart glasses. News of Intel’s latest hardware broke in February, when Bloomberg’s Sarah Frier and Ian King published a report saying the company was looking for a number of investors to take a majority stake in its augmented-reality (AR) unit, which had been developing a pair of eyeglasses that lets you see text and other information in your field of view. Intel designed these glasses to be worn in public without feeling like a technophile. 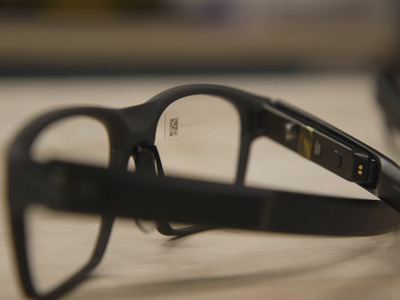 The horn-rimmed camera-less glasses have a very different look from Google Glass. Intel’s Vaunt glasses are designed with minimalistic functionality so the pair only weighs about 50 grams (about a tenth of a pound), and apart from an occasional “red glimmer,” the lens display isn’t visible to anyone on the other side of the glasses. 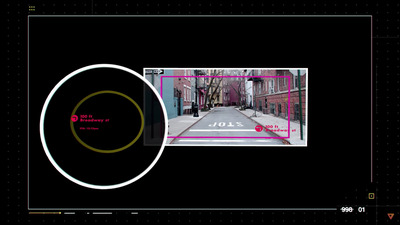 The lens can display “simple basic information” into the right eye. The image is called a retinal projection: A red monochrome projector shines an image on a “holographic mirror,” which bounces the image into your eye. To avoid having text in your line of sight all the time, Intel built the glasses so that the dashboard shows up only when the user glances down at the bottom of the frame. The second the user looks up, the display disappears. There’s no need for hand gestures. The display is shown through a “Vertical-Cavity Surface-Emitting Laser,” which is “so low-power, it’s at the very bottom end of a class-one laser,” according to New Devices Group’s industrial design director Mark Eastwood. 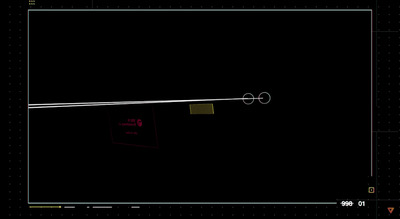 That apparently means that the laser is safe for your eyes. The glasses do need to be fitted to your eyes, however, so there’s enough distance between your eyes and the lens to see what’s displayed. 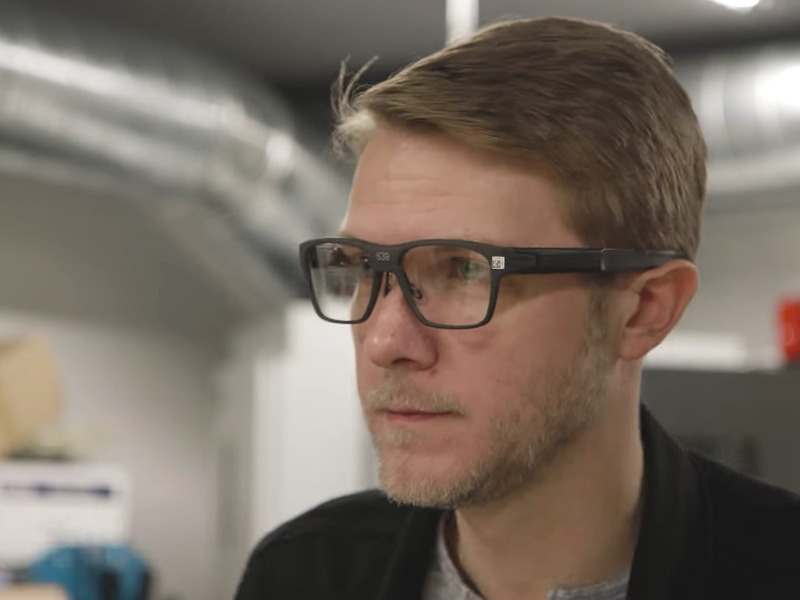 Intel is developing other prototype Vaunt styles, and developers will soon be able to start using the glasses through Intel’s early access program, to create use cases for them. 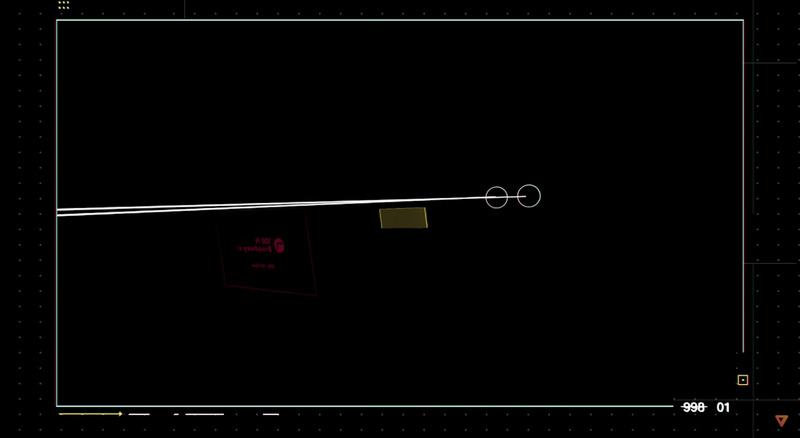 The Vaunt is going to work with both Android and iPhone. And while the executives in the video do name a few use cases (grocery shopping, choosing between restaurants that are right in front of you), it’s clear that the extent of the Vaunt’s capabilities will be entirely up to software developers. 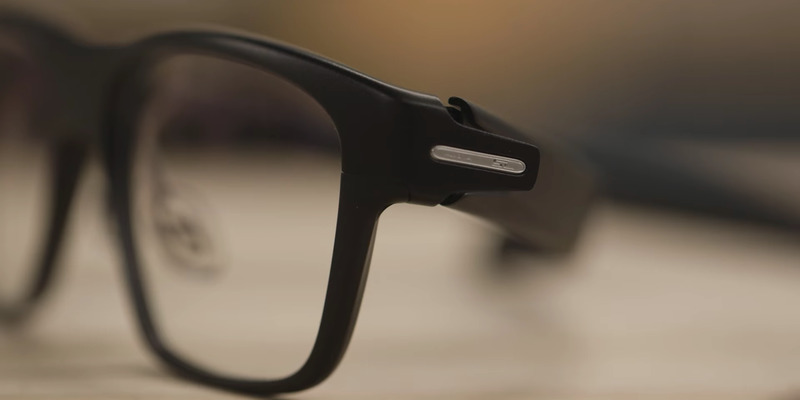 To learn more about the Vaunt smart glasses, check out The Verge’s video below.